India on Wednesday claimed to have set a successfully test-fired the "world's fastest" supersonic cruise missile from IAF's Sukhoi 30MKI fighter jet. 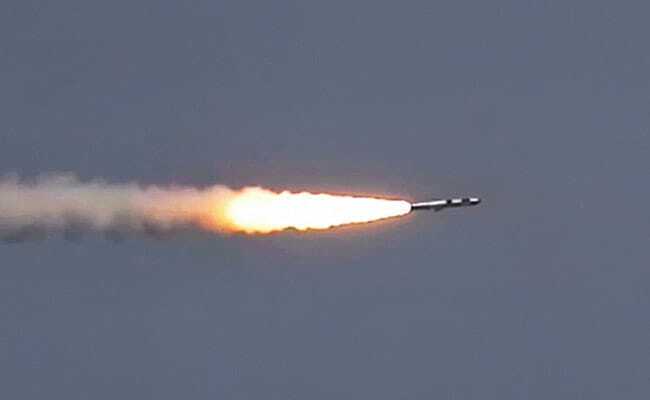 The Brahmos air-to-surface cruise missile tested by the defence establishment on Wednesday afternoon is created to arm India's military with the capability to fire stand-off weapons, rockets that can target the positions of an adversary from outside it's defensive shield. The Defence statement also claimed that the missile was gravity-dropped from the Su-30 from the fuselage and the two-stage missile's engine fired up and straightway propelled towards the intended target at the sea in the Bay of Bengal. The BrahMos-A missile provides IAF the capability to strike from large stand-off ranges on any target in sea or land with pinpoint accuracy by day or night and in all weather conditions. After firing the missile, the fighter jet would fly away, while the air-launched BrahMos would use its own seeker to home in on the target. India plans to equip at least two Su-30 squadrons - consisting of 18 planes - with the cruise missiles, according to the paper. Weighing 2.5 tonnes, BrahMos is the heaviest weapon to be deployed on India's Su-30 fighter aircraft. The software development of the aircraft was undertaken by the IAF engineers while the HAL carried out mechanical and electrical modifications on aircraft. The missile is expected to have a range close to 300 km. The Brahmos, originally developed as a surface-launched anti-ship missile was first tested by the navy in 2003. Brahmos could be termed as the game changer for India's security forces. For India, that completes its tactical cruise missile triad. Given its speed of Mach 2.8 (2.8 times the speed of sound), it is extremely hard intercept the BrahMos missile by surface-to-air missiles deployed on leading warships around the world. Brahmos is a joint venture between DRDO of India and NPO Mashinostroyenia (NPOM) of Russian Federation.